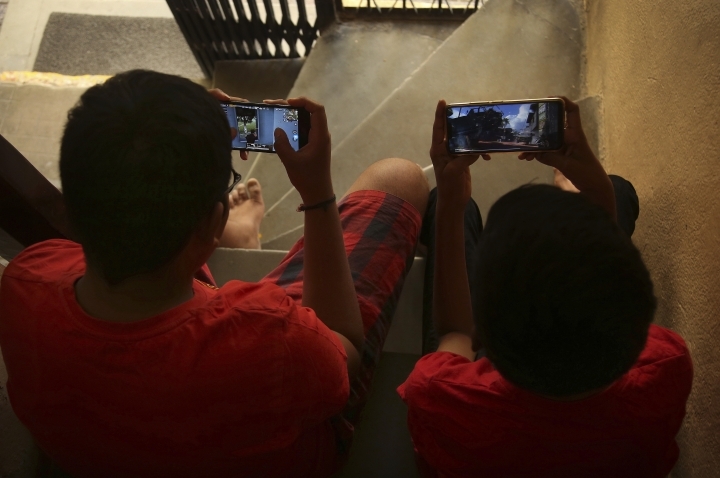 NEW DELHI — A boy's suicide this week in southern India after his mother scolded him for playing a popular online game has inflamed a national debate over whether the game should be banned. The 16-year-old's father demanded a ban on PlayerUnknown's Battlegrounds, known by the acronym PUBG, after his son hanged himself from a ceiling fan at their Hyderabad home following a reprimand for wasting time online rather than studying for an English exam, according to Indian news reports. At the heart of the conflict in India is a cultural norm: Parents expect their children, many of whom live with them well into adulthood, to concentrate on academics and professional pursuits. And supporters of a ban say the game can be a deadly distraction. In March, two men in their twenties playing the game on their phones near railway tracks in Maharasthra state were killed by an oncoming train, the Press Trust of India news agency reported. PUBG is a survival game developed by a South Korean company in which players are dropped onto an island and have to eliminate each other. Since its launch in 2017, it has garnered a huge global following across PCs, consoles and mobile platforms. By last December, it had 200 million mobile downloads alone. A few cities in the central Indian state of Gujarat have already banned the game, citing concern that it was making players more violent and distracting students from their schoolwork. Since then, two dozen young people across Gujarat have been arrested for violating the ban. A movement against PUBG in Gujarat began in January, when the state's public education department ordered schools to place a moratorium on the game until April 30, the end of the academic year. Though Gujarat is the only state in India so far where PUBG has been banned, officials in other areas are calling for similar action. In December 2018, the Vellore Institute of Technology in Tamil Nadu state in southern India banned the game because it "spoiled the entire atmosphere on the campus," according to a statement to students by the school's wardens chief, the official responsible for student housing. Arguing for a ban in February, the state of Goa's minister of information technology, Rohan Khaunte, called the game a "demon in every house," the Press Trust of India reported. In Gujarat, police action against PUBG gamers began in March, when several districts started issuing bans. Achyuta Rao, president of a children's advocacy group in Hyderabad, said he wrote a letter to the National Commission for the Protection of Child Rights, a government agency, asking it to encourage city authorities to ban the game, citing the death of a 21-year-old man in late March who had played PUBG almost non-stop for four days. "Children are addicted and it is causing psychological disturbances. Horrible images infiltrate their minds and cause adverse effects. Only a national ban will have a positive result," Rao told AP. Dr. Radhika Acharya, a clinical psychologist in Hyderabad, said she also supports a ban. She described a teenage patient who locks himself up in his room for hours to play the game, threatening to kill his parents if they interrupt him. "PUBG desensitizes young people and damages their emotional development. It is all about linking success to violence and inflicting pain. It has a very negative effect on children, adolescents and even older people," she said. 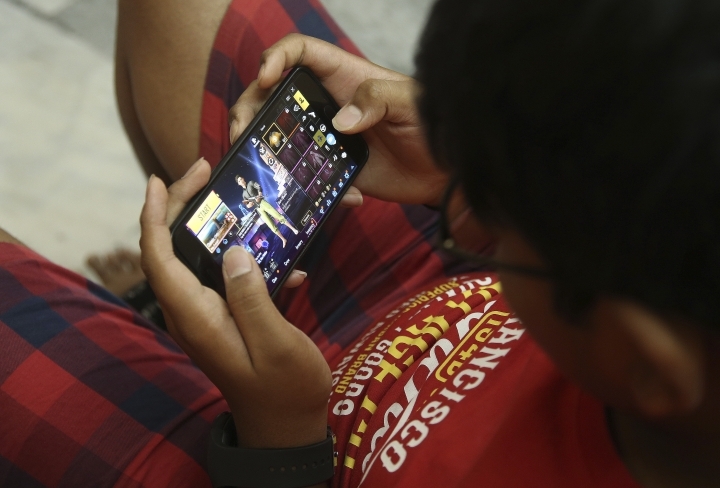 Avid player Anirudh Ishaan, 23, said the game is "extremely addictive" and a source of conflict with his parents, but didn't think it should be banned or be grounds for an arrest. "Banning the game is a very extreme step," he said. "You can take a middle path, or a moderate step, but how can you call someone who is playing a video game a criminal? We are not doing anything illegal." 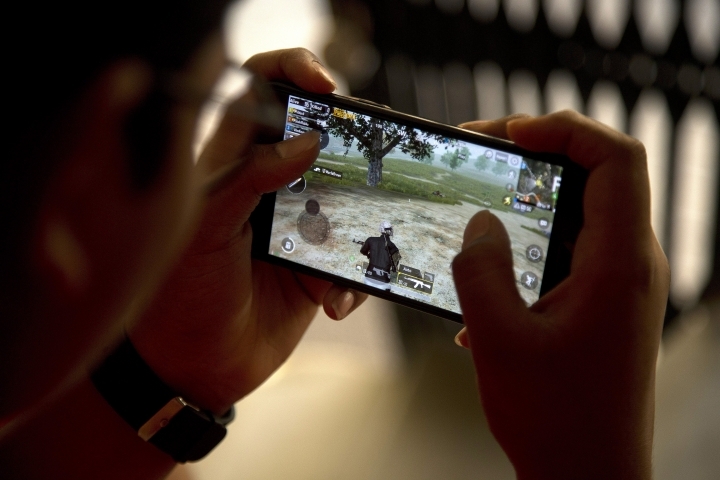 PUBG Mobile's Indian distributor Tencent said last month that it was "working to understand the legal basis of such bans," and hoped to convince Indian authorities to withdraw them. In China, however, PUBG Mobile bowed to the demands of authorities, installing a digital lock that keeps children under 13 from the game. Some observers do not think the bans in India will survive a legal challenge. The Internet Freedom Foundation in New Delhi has filed a petition in the Gujarat High Court asking for the bans to be declared unconstitutional and for criminal charges against the two dozen defendants, whose identities have not been disclosed, to be dropped. "If you curb someone's freedom, you have to have logical reasoning and a legal basis. You need to support your claim that the game leads to violence and hatred with reasoning instead of this kind of arbitrary ban which deprives people of their freedom," said Karnika Seth, a lawyer in New Delhi. The Gujarati city of Ahmedabad has already revoked its ban, according to the Times of India. Repeated calls to city officials seeking confirmation went unanswered. The two dozen people who have been arrested in Gujrat could face up to six months in jail. However, Manoj Agrawal, police commissioner of Rajkot, a district in Gujarat where most of the young people were charged, thinks it unlikely that such a stiff sentence would be imposed. "It's more likely that they will be given a warning by the court that they must follow the law of the land," Agrawal said. Dhillon reported from Bhimtal, India.